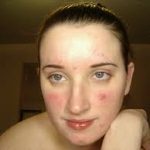 Breakout on the skin causes a great skin rebellion. It could be minor or major breakouts but whatever form it takes, it is still very unpleasant and affects your facial and entire beauty. The situation even gets worse if you don’t know how to treat acne breakouts at every stage of development till it is finally eliminated. Sometimes your breakout might come expected for example during your monthly menstrual cycle. It can also occur relatively beyond your expected boundary area. 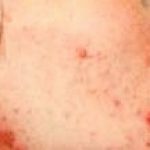 Whatever is you situation knowing how to treat acne breakouts at every stage of development is the key to getting a sure and permanent healing. At about 30 days into your breakout stage, your face could be covered up with every form of pimple. 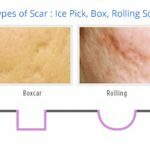 This may include pimples that are about to emerge, pimples that have become completely visible, few pimples that already healing and the dark pimple scar on the skin. Day by day you could be struggling to know how to treat acne breakouts with your skin care routine to ensure it is properly covered up. Even when your skin have cleared up significantly, part of your skin care routine will be to forget about your skin and focus more on other things that will divert your attention from the mirror. 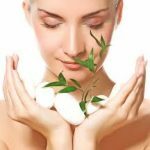 It is very discouraging to discover while carrying out daily skincare routine a feeling of breakouts of pimples especially if you have a forthcoming big event. Complaining and getting worked up about it will do you no good. There is something you can do at this stage. Experts are there to help you at this stage. The first thing you need to do is visit a dermatologist for a professional advice. Your dermatologist can give you cortisone injection which can possibly help you to treat acne breakouts before it emerges. This is also where pimple patches become helpful. They’re most efficient prior to the time the breakout turns into a whitehead presuming it’s not yet a sore. If you aren’t able to see your dermatologist, you next option is to go for relevant treatments. The products you purchase to treat acne breakouts must be made up of acne-fighting ingredients. The first thing you should try is a spot-treatment that is made up of benzoyl peroxide or salicylic acid. No matter the situation, you must never pick at your pimple. This is the stage when you already have visible pimple. Try to avoid the temptation of using too much skincare product. How to treat acne breakouts at this stage is fairly simple: wash your skin in the morning and evening, and after that apply a spot treatment. When you are out to buy a spot remover, look for a product with good ol’ salicylic acid and benzoyl peroxide, in addition to sulfur. If your breakout is actually irritated, you may try the hot-compress method of treatment. To do this it is recommended that you make use of baking soda, mix it with water and apply it directly on the breakouts. This will help to minimize its appearance. Allow it settle on the spots for about 10 minutes, and after that use a hot towel and exert pressure on your breakouts like a hot compress to get rid of the irritation. Repeat the procedure every morning and night till it has subsided. The next thing you may need to do at this stage is try to cover up the blemishes. The recommended makeup tip is to avoid applying excessive product on the blemish. Often putting too much concealer on the spot actually lays more emphasis on it and makes it to be more conspicuous. 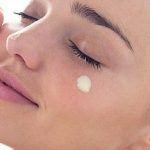 How to treat acne breakouts with concealer is to go simple. Go for shades of concealer that precisely matches your own skin tone with a minor base of yellow color. With the use of a concealer brush, treat only the breakout spots and afterwards set with a little bit of slack powder to keep it in position.